Numerology is the universal language of numbers, and each of us was born with a set of numbers unique to us. These numbers unlock the door to the depths of our personality and these numbers reveal the way we interact with others and our success and failure in our ventures. 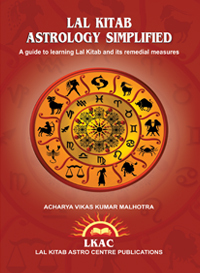 Lal Kitab Astro Centre (LKAC) offers two types of numerology reports. First is Mini Numerology Report that contains details of your Ruling Number, Destiny Number and your name compatibility with your Ruling and Destiny Number. The second is Detailed Numerology Report that contains an in-depth analysis of your numbers and also suggests change in name based on this analysis. 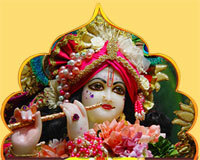 You can order a Mini Numerology Report by transferring a nominal amount of Rs. 501 ($ 25 for overseas clients) in our Bank account. The report is mailed within 7 days of receiving payment by us. This report can prove to be useful for your future career and ventures. You can order for Detailed Numerology Report which contains detailed interpretation of your numbers and it also suggest for initiating change in your name or the name of your firm. In addition it also offers one Numerological consultation (either on phone or personal consultation) with Acharya Ji for the concerned person. The charges for this Detailed Numerology Report are Rs. 2,100 ($ 100 for overseas clients).